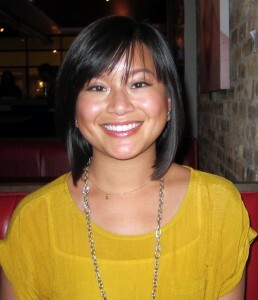 Meet Lindsey, Sweetchic’s Newest Event Assistant! — Sweetchic Events, Inc.
Meet Lindsey, Sweetchic’s Newest Event Assistant! Here at Sweetchic, we are winding down our FOURTH wedding season (we still have four more 2011 weddings left on the books! ), and I'm so incredibly proud of how we've grown over the years!! First you met Hollie, and then Jessica, and now... Lindsey! I can't tell you how much I ♥ each of these amazing ladies. I chose them for their capable, can-do attitudes, but mostly because they are wonderful people who brighten up the wedding days of our Sweetchic couples! - I design books (as a production designer) by day. - I have a background in Fashion and Graphic Design. - I love cupcakes (for baking and eating). - I am addicted to soy lattes. They give me energy before every wedding. - I am always on the lookout for fantastic new invitation ideas. - I love typography (which relates to weddings much more than you may realize). - I religiously pour over wedding and design blogs for inspiration. - I'm obsessed with the details. Weddings are a culmination of many different types of design and I love seeing it all come together, one detail at a time. As an Assistant Wedding Coordinator, I have the privilege of helping to facilitate every little detail that will shape a cherished memory for each Sweetchic couple. I feel very lucky to be a member of the Sweetchic Team and I can't wait for all the new experiences that lie ahead!